A Huge thank you to Lisa (my sister) for sharing this craft with us. I think these paper pumpkins are just sooo fun! There's a good chance you already have everything you need. 2. hole punch both ends. 3. slide the paper onto the brads with the top of the paper toward the top of the brad. 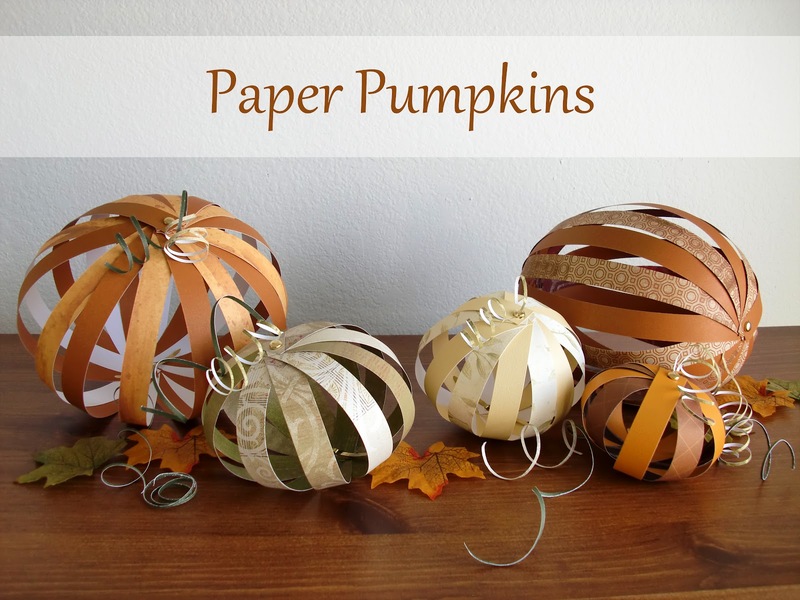 I used 2 different papers for each pumpkin. 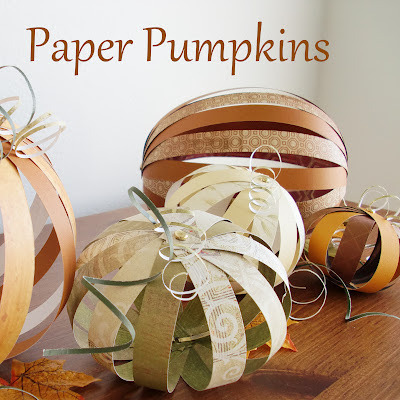 The pumpkins, (especially the 12" pumpkins) work a little better if at least one of the papers used is a little thicker, like cardstock weight. It will help them to hold their shape. I curled some super thin strips of paper around a pencil to get the curly vines. And here are the dimensions for the pumpkins. So cute! I pinned these!